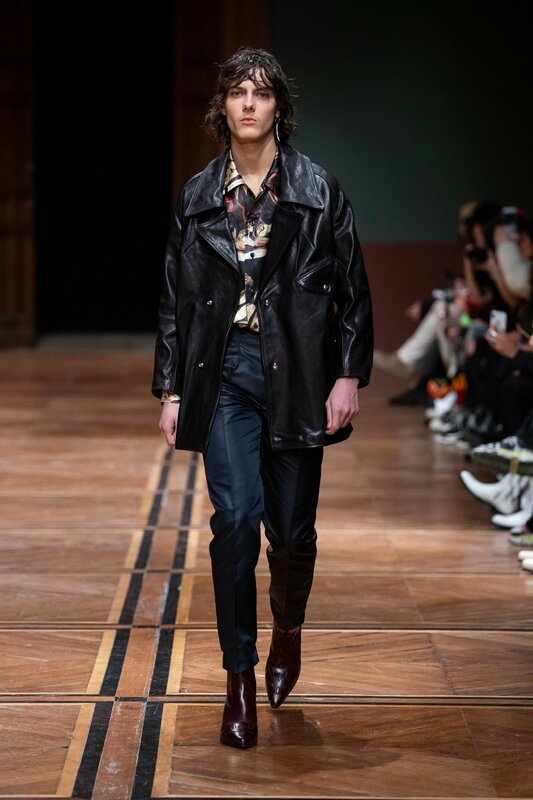 No one in today’s fashion landscape can bring 2019 back to 1975 as easily as Henri Alexander Levy and his relatively young but ambitious label, Enfants Riches Déprimés. 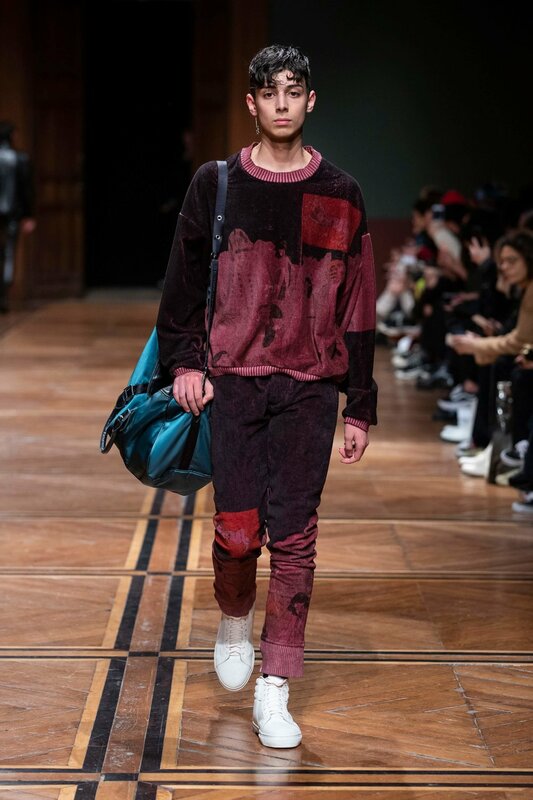 Self-described as a label of “elitist, nihilist couture” and drawing a thick line between the masses and the fashion elite. 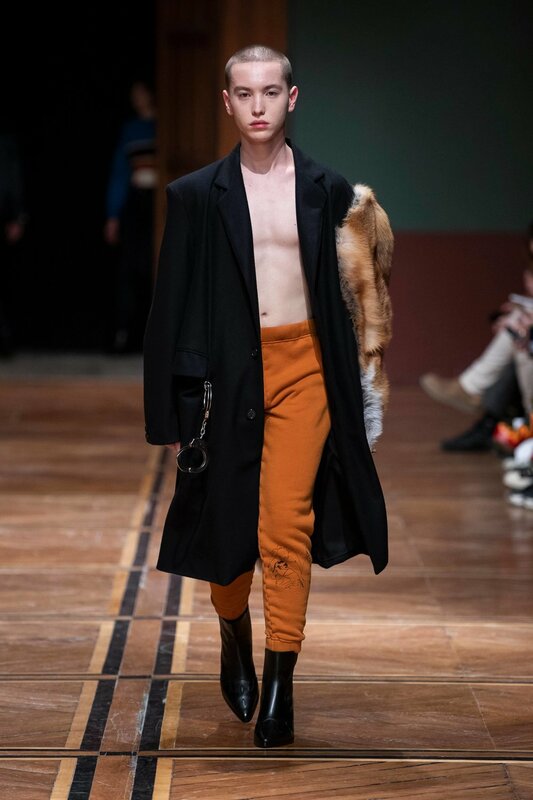 Enfants Riches Déprimés has been making waves in more ways than just their fashion-forward take on DIY garments and ‘70s/’80s subculture. 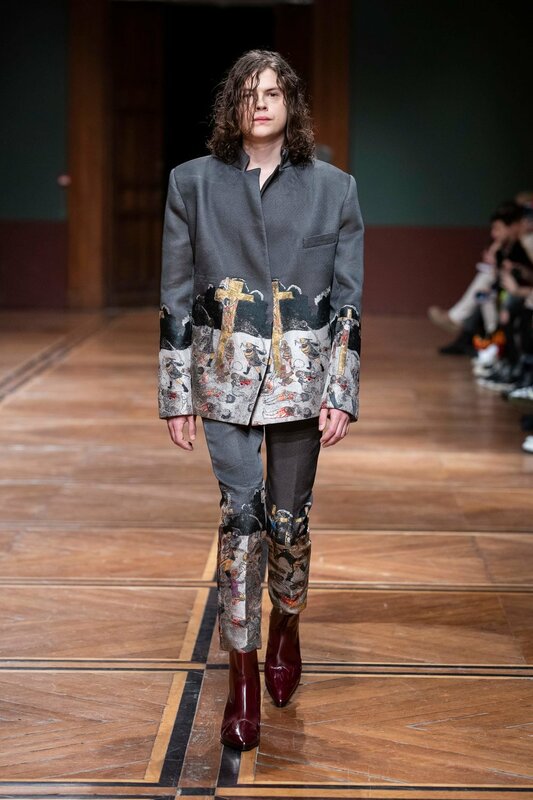 Luckily for us, their FW19 Paris show was a masterclass in “elitist, nihilist couture”. 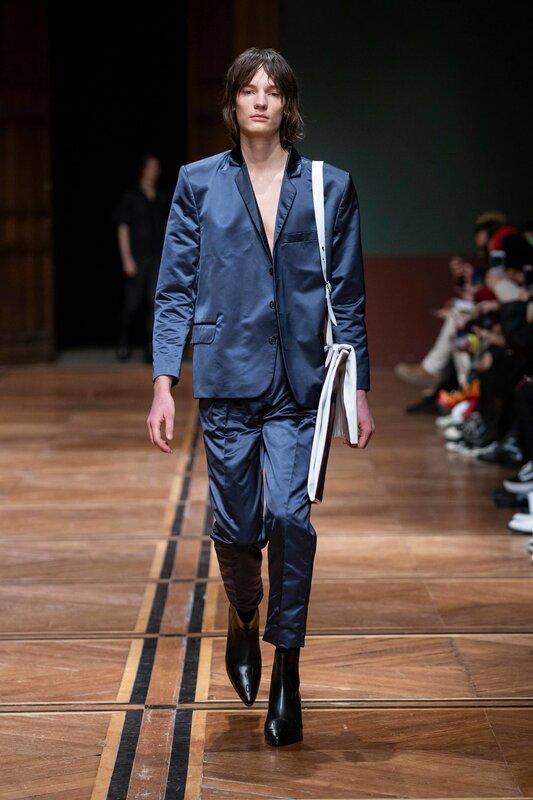 Making a hard distinction between ERD’s two main influences for this season was pretty easy, with silk “Nik-Nik” style shirts paired with high waisted and flared wool trousers, rounded off with a cigarette box heeled boot harkened back to the nights of Studio 54 and over-the-top dance floors. 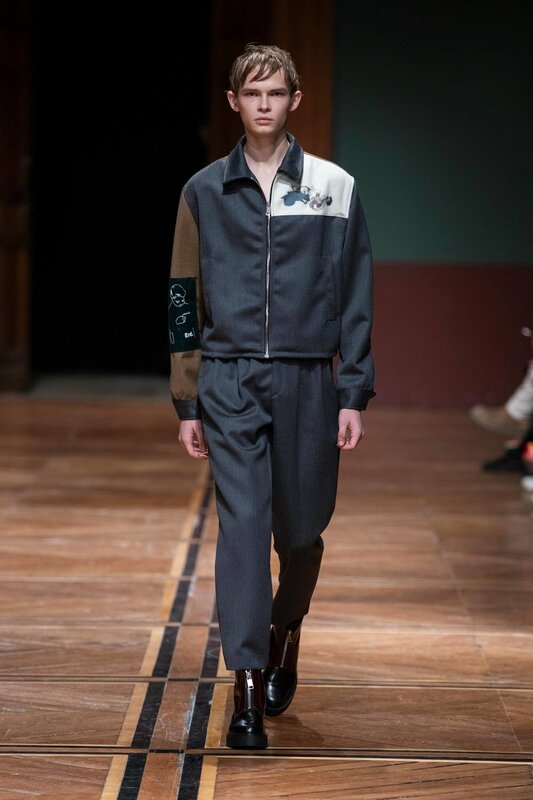 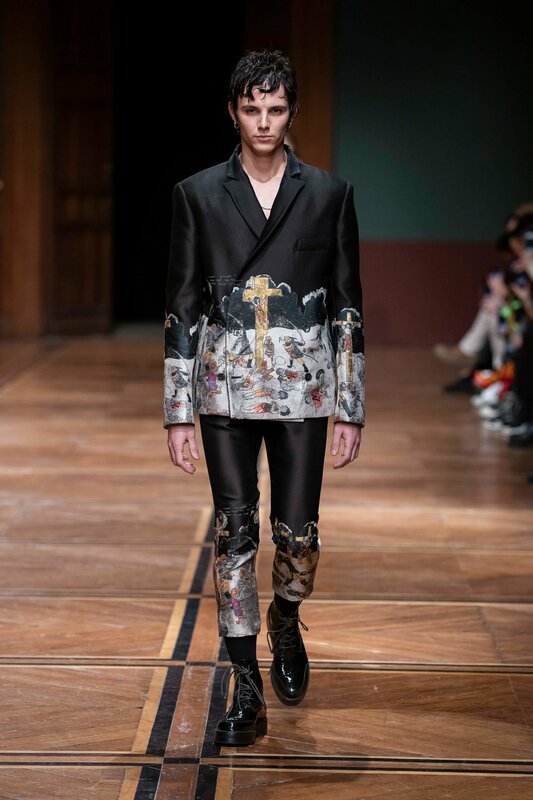 Some of the more outrageous pieces from this “era” of Enfants Riches Déprimés includes a collection of hand-painted silk and wool double-breasted suits and outerwear depicting the crucifixion of Jesus. 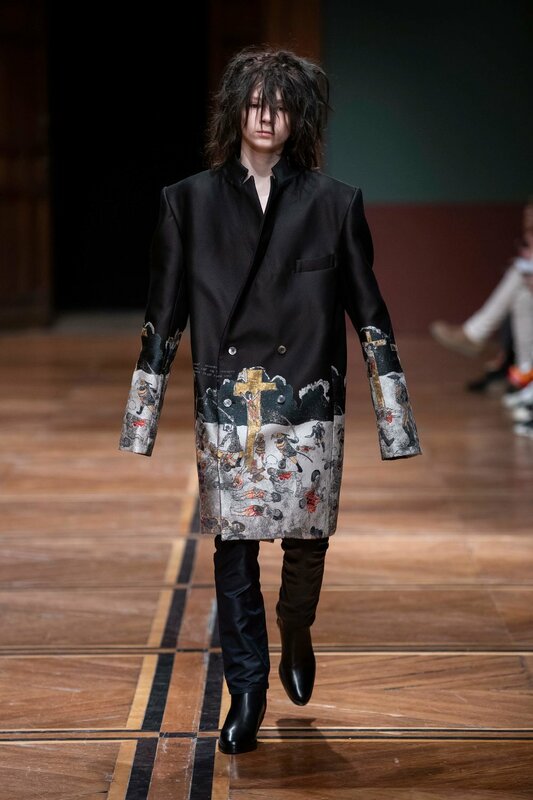 Because NOTHING says nihilistic fashion with a touch of the 70’s more than the crucifixion of the religious leader of the largest religion in the world. 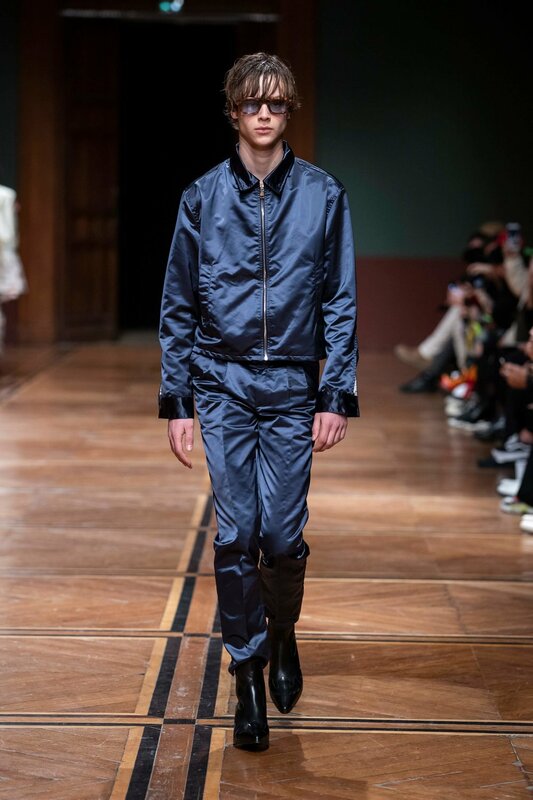 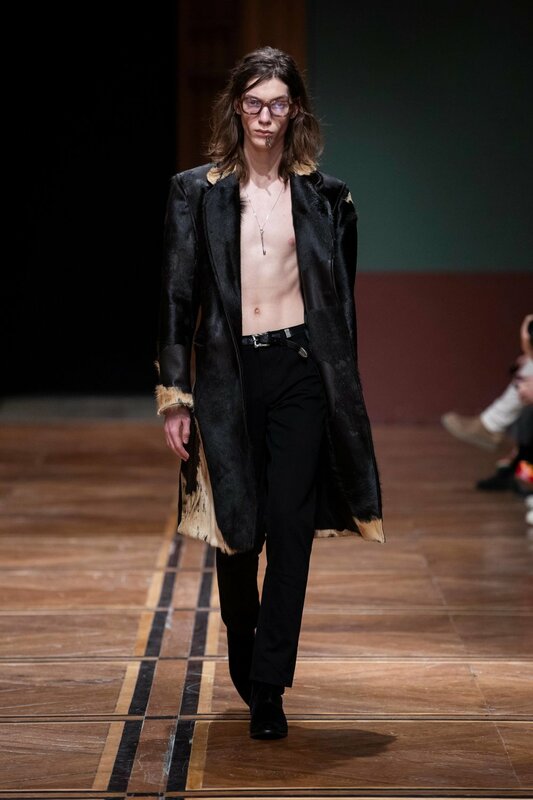 Creating a touch of elegance with a smattering of distressing, classic tailoring and an intense punk rock feel is something that can be easily obtained from Enfants Riches Déprimés if you have the means to support the habit and the confidence to control the addiction.